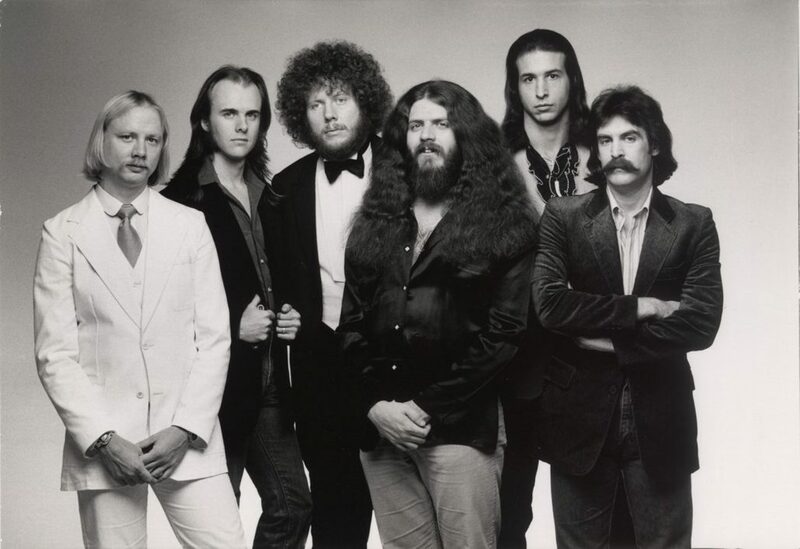 A highly successful American band in the mid-to-late 70′s, Kansas combined British-style progressive rock with elements of both early 70′s heavy metal and classical music, while maintaining a hard rock edge throughout. 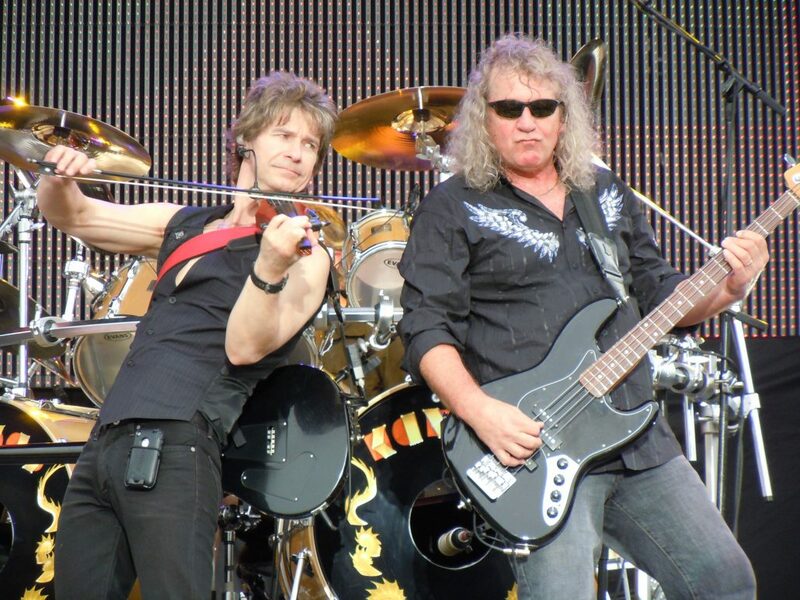 Instrumentally, the music of Kansas is noted for the ubiquitous presence of violin as a lead instrument, dual lead guitars (ala Wishbone Ash), extensive orchestration and melodic interplay, and tight playing. Kerry Livgren’s philosophical/spiritual lyrics are well-rendered by Steve Walsh’s strong, smooth vocals, often sung in duet with violinist Robby Steinhardt. Kansas started as a bar band in Topeka, Kansas in the early 70′s. The original line-up, which remained constant for nearly ten years, featured Steve Walsh on vocals and keyboard, Kerry Livgren on guitar and keyboard, Robby Steinhardt on violin and vocals, Dave Hope on bass, Rich Williams on guitar, and Phil Ehart on percussion. Songwriting duties were shared by Livgren and Walsh, with occasional contributions from other band members. Kansas’ first album, the self-titled Kansas, features lengthy symphonic-style works such as “Journey from Mariabronn” and “Death of Mother Nature Suite,” all with a strong heavy metal edge. Kansas also exhibited its bluesier side on tunes such as “Can I Tell You” and “Bringin’ it Back,” a J.J. Cale composition, notable as a rare song recorded by Kansas but not authored by a band member. The contrast between symphonic works and more earthy compositions would pervade many Kansas albums, with Livgren crafting epics of myth and search for ultimate truth, and Walsh portraying an angrier, more worldly view. The semi-acoustical ballad, “Lonely Wind,” fit neither camp, but was the band’s first single. 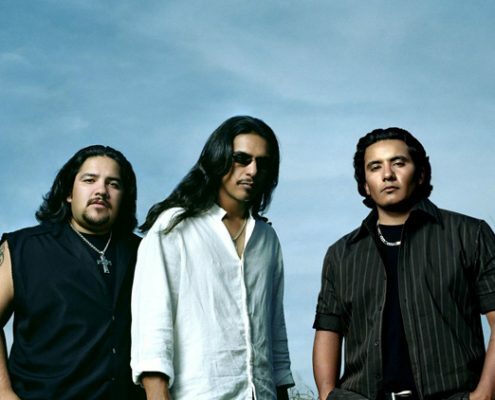 Their second album, Song for America, saw a softening of Kansas’ sound, with more classical influences evident, but still betraying hard rock origins. “Song for America,” “Lamplight Symphony,” and “Incomudro-Hymn to the Atman” are lengthy, intricate pieces, while “Lonely Street” is straightforward blues, and “Devil Game” is a tightly wound, fast-paced rock shuffle, all sung with great emotion by Walsh. The third album by Kansas, Masque, is lyrically quite dark. “Mysteries and Mayhem,” a very fast-paced progressive piece in a hard rock vein, segues into “The Pinnacle”. The compositions are based upon a nightmare that Livgren once had, while “Child of Innocence” dwells on the certainty of human mortality. “Icarus-Borne on Wings of Steel,” is based on the Greek myth of Icarus, who flew too close to the sun and perished. Only in the reassuring “All the World” does good prevail. 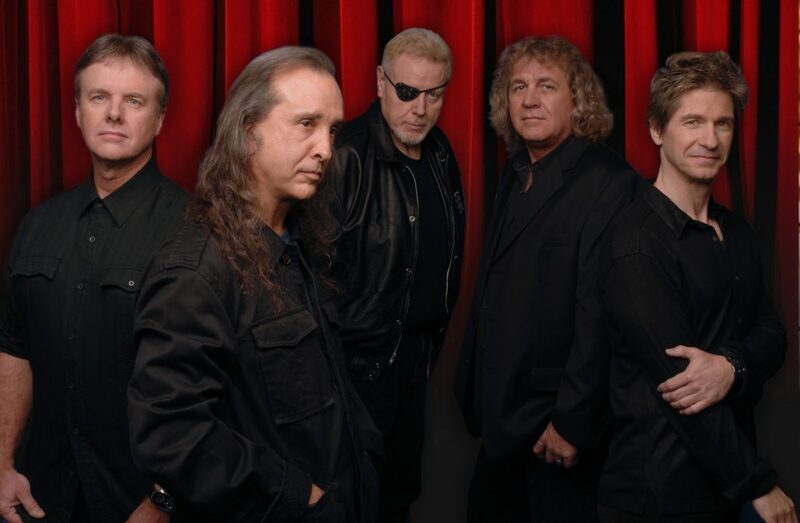 Kansas finally became a major attraction with their fourth album, Leftoverture, on the strength of the hit single “Carry On Wayward Son.” “Carry On,” with its heavy guitar riffs and high vocals, became a signature piece for Kansas. “The Wall,” with its thickly textured sound and vaguely spiritual lyrics, remains a fan favorite. Perhaps the most bizarre piece is “Magnum Opus,” a lengthy, mostly instrumental piece composed of six sub-sections with whimsical titles. 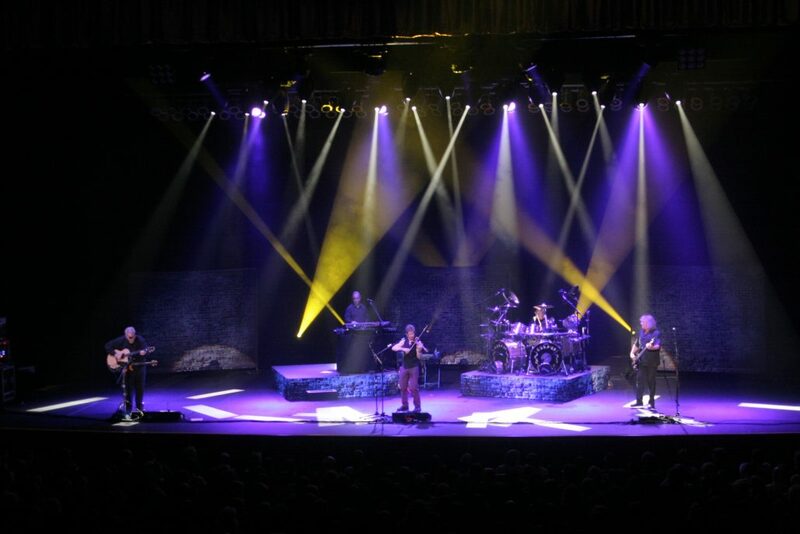 “Leftoverture” represents the maturation of the band’s sound–interlocking melodies, tight playing, and almost fugue-like sections combined into a crisp fusion of hard rock and progressive influences. Most reviewers of the time concurred, and while “Carry On” was becoming a hit, most of the album received heavy play on FM stations. Having achieved stardom with Leftoverture, Kansas followed up with the even more successful Point of Know Return, spearheaded by the haunting acoustical piece “Dust in the Wind.” “Dust in the Wind” portrays a bleak view of the impermanence of the world, while “Nobody”s Home,” “Sparks of the Tempest,” and “Lightning’s Hand” dwell on the folly of man and the likelihood of his self-destruction. “Point of Know Return” saw Kansas move more towards shorter, compact songs, which still exhibit melodic interplay and Livgren’s philosophical lyrics. 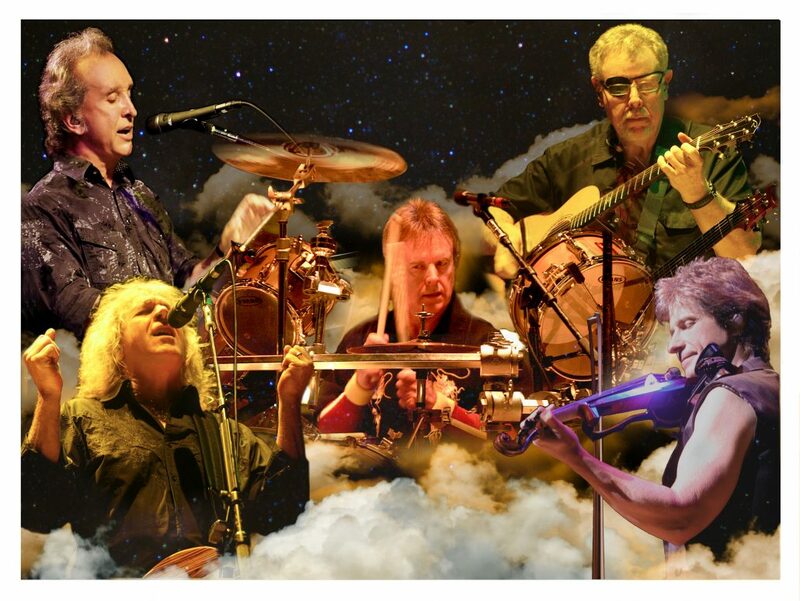 Kansas was always known for their tight live performances, and fans were gratified by the release of Two For the Show, a double-album live release. 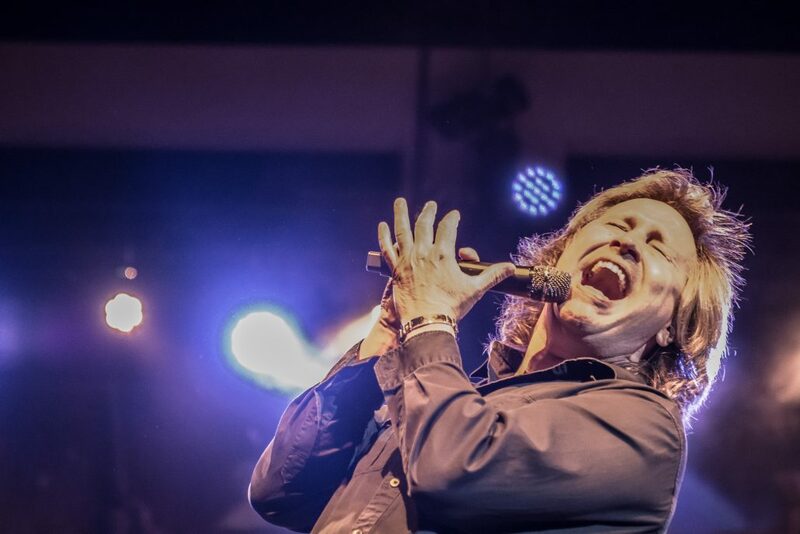 “Two For the Show” is an outstanding live recording of most of Kansas’ best-known songs. Unfortunately, the CD re-release of this album required cutting one song (“Closet Chronicles” from Point of Know Return) to get everything onto a single compact disc. Kansas returned to the studio and delivered Monolith, their first self-produced album. The opening song, “On the Other Side,” has proved enduring, and “People of the South Wind” was a minor hit as a single. However, the album failed to hold the audience built through Leftoverture and Point of Know Return, as sales dropped. A year later, the band followed up with Audiovisions, the last production of the original band lineup. The songwriting rift between Livgren and Walsh, evident on Monolith, was even more pronounced on Audiovisions. 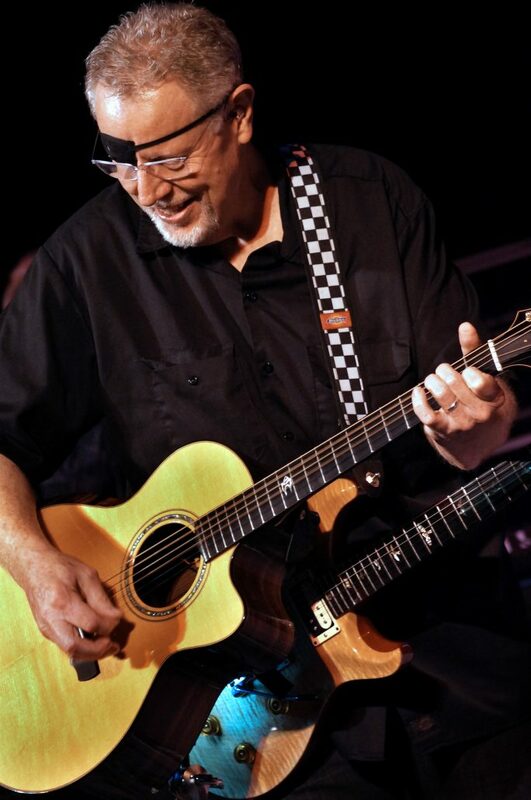 Livgren’s recent conversion to Christianity was reflected increasingly directly in the lyrics of even minor hits like “Hold On,” a mostly acoustic ballad, and “Relentless,” a straightforward rocker. “No One Together,” a holdover from Monolith, still demonstrates a progressive edge that by the time of Audiovisions was on the wane in Kansas. In the interval between Monolith and Audiovisions, both Livgren and Walsh produced solo albums of modest success. Livgren’s album, Seeds of Change, was effectively a Christian rock album with guest appearances from a diverse array of talent, including Jeff Pollard of LeRoux, Ronnie James Dio of Black Sabbath, Barriemore Barlow of Jethro Tull, and David Pack of Ambrosia, as well as members of Kansas. While content to let his guests supply most of the voices, Livgren did manage to make his vocal debut on the blues number “Whiskey Seed,” proving that, as a vocalist, he was a heck of a guitar player. Walsh’s solo effort, “Schemer Dreamer” was a much more straightforward rocker. It, too, featured a number of band and guest appearances, including Steve Morse of the Dixie Dregs. The title track received a reasonable amount of AOR/Top 40 airplay. While in hindsight the two solo albums clearly articulate the musical and lyrical differences between the two, at the time they seemed merely to be a typical indulgence of the era–the opportunity to work with other artists in a more casual atmosphere. 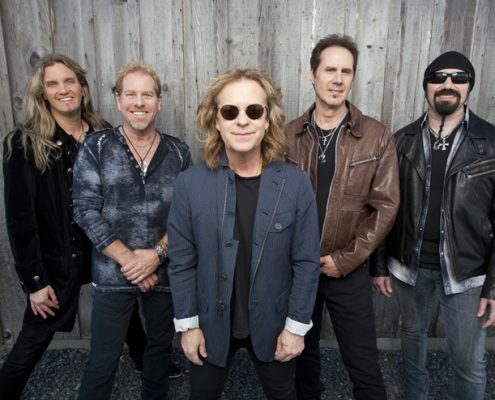 Citing artistic differences over the direction that Kansas should take, and hoping to establish a solo career, Walsh left the band just before the recording of their next album Vinyl Confessions. Walsh soon after founded a decidedly non-progressive rock band called Streets. He was replaced by John Elefante, a fine vocalist to whom fell the unenviable job of filling Walsh’s shoes. Vinyl Confessions, under Livgren and Elefante’s direction, had a strong Christian influence, which, coupled with Walsh’s departure, alienated many long-time fans. Robby Steinhardt left the band after the Vinyl Confessions tour. As Livgren went through severe writer’s drought, most of the next album, Drastic Measures, was written by Elefante. The absence of Steinhardt’s violin and Walsh’s vocals and much of Livgren’s creative impetus resulted in an album that seemed to many fans to be a Kansas album in name only. The Christian lyrics are only slightly more subtle than those on Vinyl Confessions, while musically the album is nearly straight-forward rock. Kansas disbanded in 1984 as Livgren and Hope left to form the Christian rock band AD. The retrospective Best of Kansas release included one new song, “Perfect Lover,” from the Elefante era. Walsh, Ehart, and Williams re-founded Kansas in 1986, adding acclaimed guitarist Steve Morse, and bass player Billy Greer from Walsh’s now defunct band Streets. 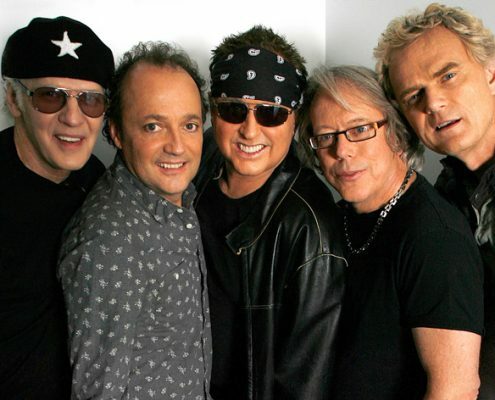 Their release Power saw Kansas re-enter the spotlight, as the soft ballad “All I Wanted” received extensive play on Top-40 radio. Pieces such as “Musicatto” and “Taking In the View” recaptured a touch of the progressive feel of earlier Kansas, but overall Power had a strong pop flavor to it. In the Spirit of Things is Kansas’ only attempt at a concept album, detailing the destruction of a Kansas town by a flood. While not commercially successful, Morse’s guitar work and Walsh’s vocals recaptured the interest of some early Kansas fans, although “In the Spirit of Things” sounds nothing like early Kansas. “Bells of St. James” and “Rainmaker” are notable tracks. 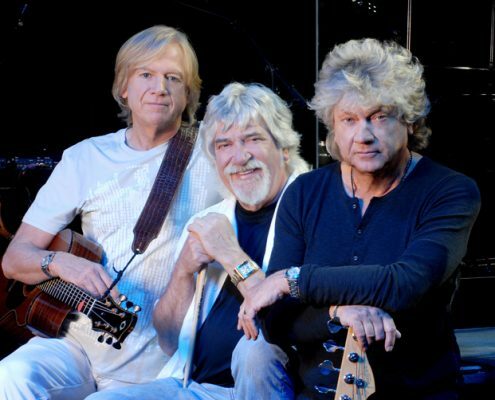 Once again, the members of Kansas “retired.” A second retrospective “best of” album called Carry On was released but contained no new material. However, in 1990 a German promoter made an offer to the group to reform and play some shows in Germany. Initially the reunion band included all the original members except Steinhardt, along with Billy Greer and Greg Robert (who had been a session player for Power and In the Spirit of Things) on keys. After a short time, Livgren and Hope dropped out, and Steve Morse came back aboard. The reunion was originally a temporary deal, but the group enjoyed the European shows and decided to start touring the U.S., in early 1991. Since then, Kansas has toured fairly steadily, playing small-to-medium venues all over the country. Livgren was with the group during their European tour, but dropped out of regular touring at some point early in the U.S. tour, though he has made several guest appearances since then. In April of ’91, Kansas added violinist/guitarist David Ragsdale. After a few months of U.S. touring, Morse dropped out, leaving the band with its current lineup. In 1992, Kansas released their second live album, Live at the Whisky, recorded in April of that year at The Whisky, a Los Angeles club, with Livgren guest-starring on two tracks. In July 1994, Kansas released a 2-disc (or 2-cassette) boxed set, entitled KANSAS. It consists mainly of remastered “greatest hits,” some unreleased live tracks, and a new studio song, “Wheels,” written by Livgren. 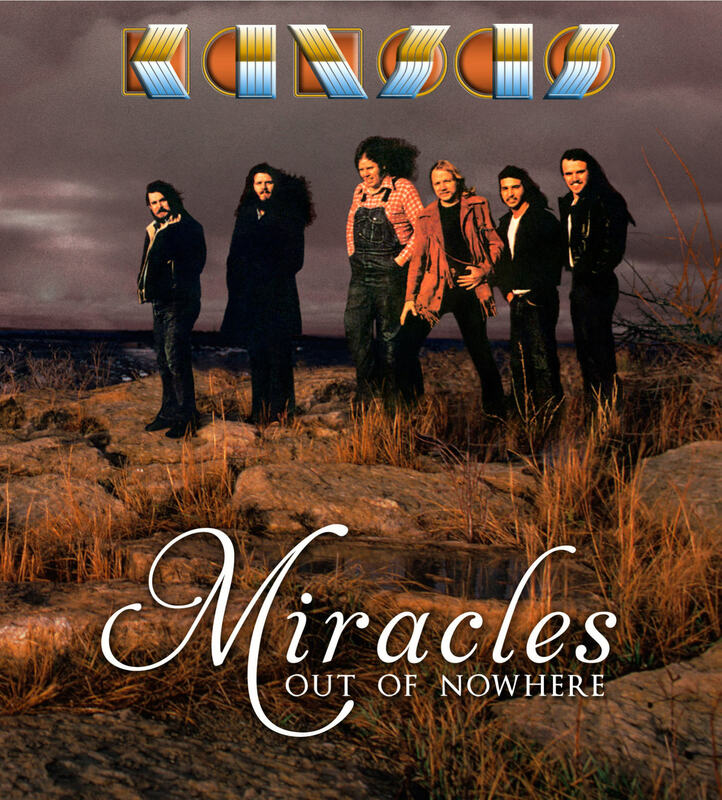 In June 1995, Kansas released their first new studio album in seven years, entitled Freaks of Nature, on the Intersound label. Freaks of Nature, strikes a balance between covering new ground while simultaneously attempting to return to Kansas’ progressive roots. Ragsdale’s violin is featured prominently, and Ragsdale receives writing credits on many songs. The complex arrangements and instrumentation are reminiscent of Point of Know Return or Masque. Some listeners claim similarity to groups like Dream Theater. Kerry Livgren contributed the song “Cold Grey Morning.” “Desperate Times” is the first single to be released from Freaks of Nature. The album has been very well received by Kansas fans. KANSAS’ first public statement appeared on their self-titled album in 1974, “From the beginning, we considered ourselves and our music different and we hope we will always remain so.” Little did this legendary rock group realize that back in the early 70′s, what “seemed to be different,” was actually ahead of its time. The members who make up KANSAS are; Phil Ehart (drummer), Billy Greer (bass guitar, vocals), Robby Steinhardt (violin, vocals), Steve Walsh (lead vocals, keyboards) and Richard Williams (lead and acoustic guitar). From the beginning, KANSAS achieved success by playing only their original music. This “garage band” from Topeka was discovered by Wally Gold who worked for Don Kirshner and released their first album in 1974. 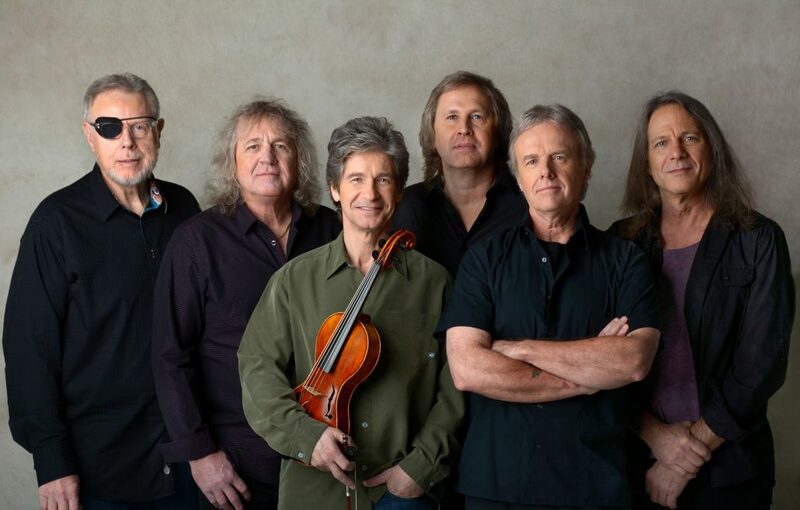 The band has produced eight gold albums, two triple Platinum albums (Leftoverture, Point of Know Return), one platinum live album (Two for the Show) and a million-selling gold single, “Dust in the Wind.” KANSAS appeared on the Billboard charts for over 200 weeks throughout the 70′s and 80′s and played to sold-out arenas and stadiums throughout North America, Europe and Japan. In fact, “Carry On Wayward Son” was the #2 most Played Track on classic rock radio in 1995 and went to #1 in 1997. Original member and keyboard wizard Steve Walsh said of the band, “We’re heading into a new century with new ideas and discoveries ahead. Once again, we want to spark the imagination.” The sparks are now coming from an orchestral tour, with the accompaniment of top-caliber symphony orchestras, the group delivers a sound in a new setting that is strictly KANSAS…ahead of its time…again.